Mountain passes have always posed special challenges for engineers and travellers – ever since we started blazing foot trails, carving out wagon roads, and ultimately laying down highways. But while steep grades and fast-changing weather conditions demand extra caution, mountain passes give us access to some of the most beautiful scenery in the province. There are more than 50 mountain passes in BC, many of them natural landmarks from our favourite road trips. 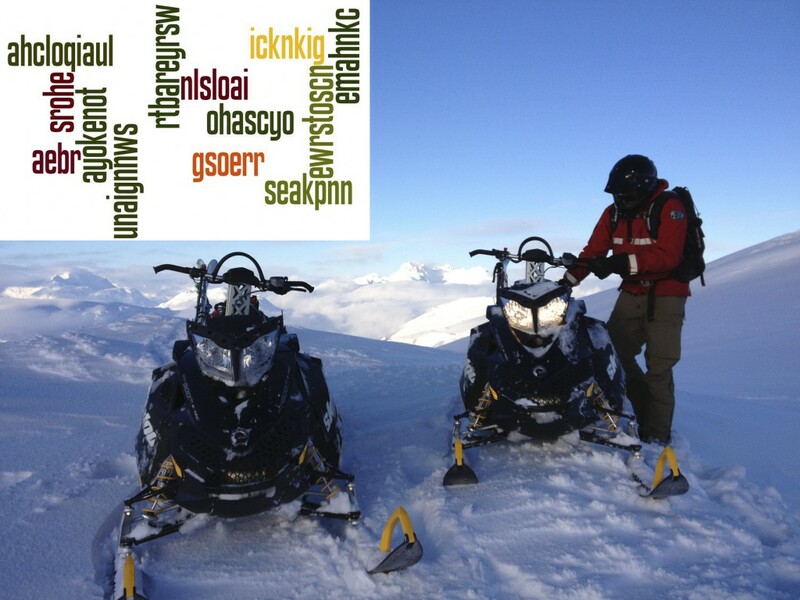 We thought it would be fun (and educational) to test your knowledge of them with a word scramble game, so we scrambled the names of 12 mountain passes and included clues. Answers are at the bottom (but don’t peek until you’re done!). Let’s start with a softy to warm you up. The highest year-round mountain pass in Canada with a summit elevation at 1,774 metres above sea level. 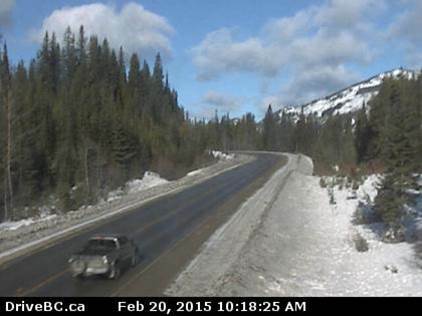 The highest point of highway between Merritt and Peachland. Crosses the Continental Divide of the Canadian Rockies on the BC/Alberta border, and is the home of Yoho and Banff national parks. This pass was included in the route used by Alexander Mackenzie on his journey to the Pacific Coast at Bella Coola. 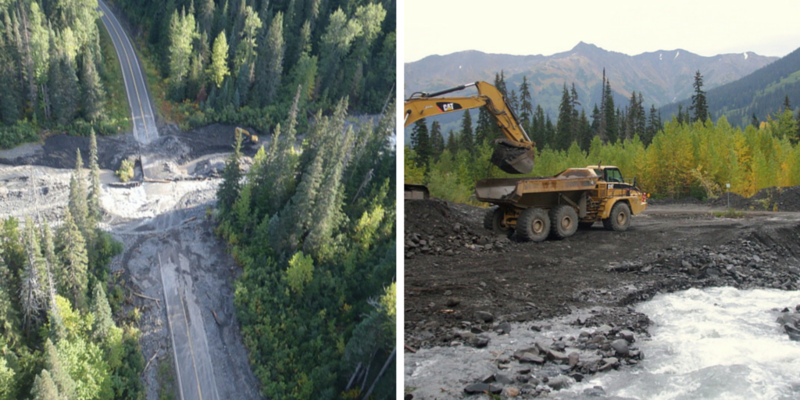 The highway through this Northern BC pass needed repairs when Highway 37 and 37A were hit by major floods in September 2011 (pictured below left). Located near Sparwood, and known as the richest archaeological zone in the Canadian Rockies. Manning Provincial Park headquarters is situated 9 kilometres east of this pass. Canadians celebrated the grand opening of the Trans-Canada Highway after the final stretch through this pass was completed in 1962. Road exit signs with names such as Shylock, Othello, Juliet and Portia give this mountain pass a Shakespearean feel. What’s in a name? Well, a pass by any other name will not be the correct answer. Royal Engineer James “Sapper” Duffey reported this route to be too steep for wagons after surveying in 1860. Logging roads made the link in the 1970s before the route was chosen for highway extension. Thanks for playing. Now, how did you do? Check the answers below and click the links for more information about the passes. Kind thanks to Wikipedia for helping us craft some of the clues.